From the mighty rivers of the Pacific Northwest, to the rolling streams of New England, to the freestone streams of the Appalachians, to the frigid waters of Canada, fly fishing is a sport embraced by anglers from all corners of North America. 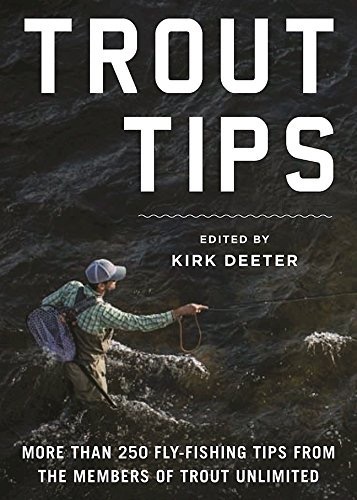 And now from the members of the highly respected conservation organization Trout Unlimited comes a comprehensive volume of tested tips and tactics for flyfishermen from every region and of every skill level. 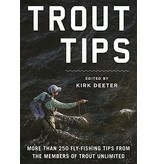 Trout Tips covers every aspect of fly fishing. Learn how to select the rod, reel, and fly line that are best suited for your type of fishing. Perfect your casting techniques so you can place your dry fly, nymph, wet fly, or streamer exactly where you want it to be, then get a proper drift over likely holding areas. Want to learn how to tie your own flies? It’s easy with the tips from TU’s tiers. Want to know how to read water, no matter what the conditions? Look no further than this book. Here you’ll find chapters featuring these tips, plus advice on wading, fighting fish, and tying bombproof knots, and much more in this compact and insightful book. Whether you’re a beginning angler looking to get into the sport or an experienced flyfisherman wanting to hone your skills, Trout Tips is sure to provide you with tips, tactics, and techniques that will make you a better angler. 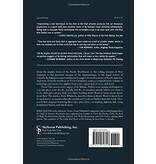 Skyhorse Publishing is proud to publish a broad range of books for fishermen. 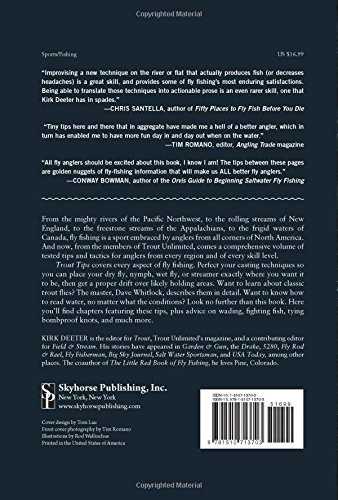 Our books for anglers include titles that focus on fly fishing, bait fishing, fly-casting, spin casting, deep sea fishing, and surf fishing. Our books offer both practical advice on tackle, techniques, knots, and more, as well as lyrical prose on fishing for bass, trout, salmon, crappie, baitfish, catfish, and more. While not every title we publish becomes a New York Times bestseller or a national bestseller, we are committed to publishing books on subjects that are sometimes overlooked by other publishers and to authors whose work might not otherwise find a home.